Urge the U.S. Forest Service to reject the Montanore Mine. 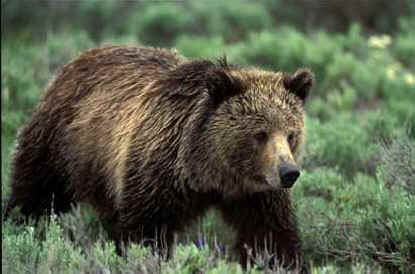 In northwest Montana, a small, isolated population of 30 to 40 grizzly bears hovers on the brink of extinction. Their habitat is already fragmented by roads and development, and the proposed Montanore Mine could destroy what little grizzly habitat is left. I request that the Forest Service deny the permit for the proposed Montanore Mine. All of the "action alternatives" in the Supplemental Draft Environmental Impact Statement are incompatible with the survival of the threatened grizzly in the Cabinet Yaak Ecosystem. The Forest Service should restore and protect essential habitat so this endangered population can recover, rather than allow for additional harmful development. The Cabinet Yaak grizzly is one of only five populations remaining in the lower 48 states, where grizzlies have been eliminated across 99% of their former range over the last two hundred years. This population is especially important since it lies in a critical ecological corridor between Yellowstone and healthier grizzly populations in Canada. Under the Endangered Species Act, the Kootenai National Forest has a fundamental duty to protect all listed species and their habitat from harm. Permitting this disastrous project would violate those requirements. Instead of approving this mine, I request that the Kootenai National Forest move swiftly to substantially reduce road densities, restore degraded habitat, and increase essential habitat throughout the Cabinet Yaak Ecosystem. In addition, I urge you to redouble your efforts to reduce human-caused mortalities in order to save this beleaguered grizzly population from extinction. Thank you for the opportunity to submit comments on this important issue.